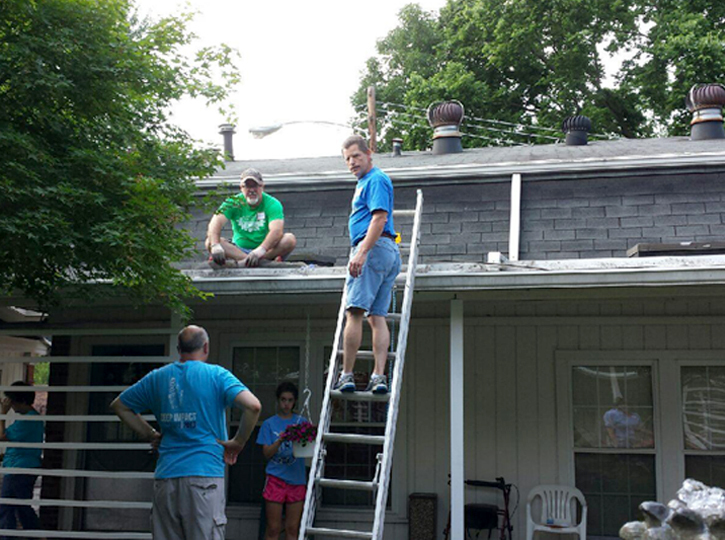 Columbus, Ohio | Several Illinois Baptists were among those serving Saturday through Crossover, the day of outreach and ministry that precedes each year’s Southern Baptist Convention. 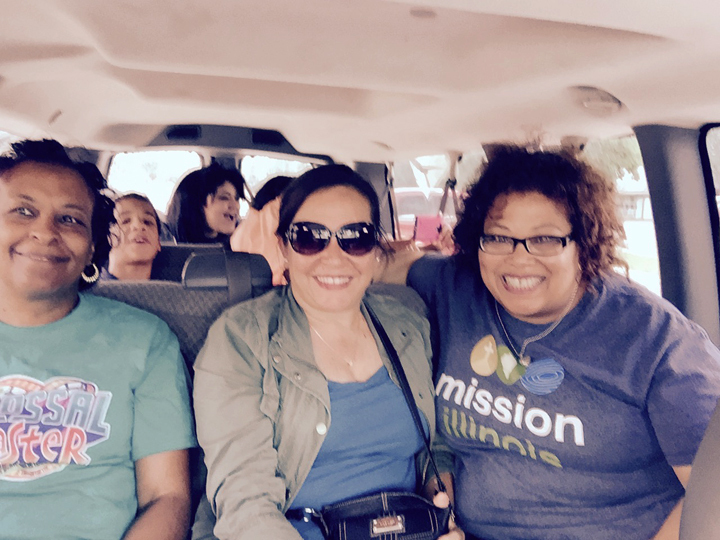 Crossover volunteers from Uptown Baptist Church, Chicago, on their way to a day of service in partnership with United Faith International Baptist Church in Columbus. The Uptown team taught classes, prayerwalked, and shared the gospel one-on-one. 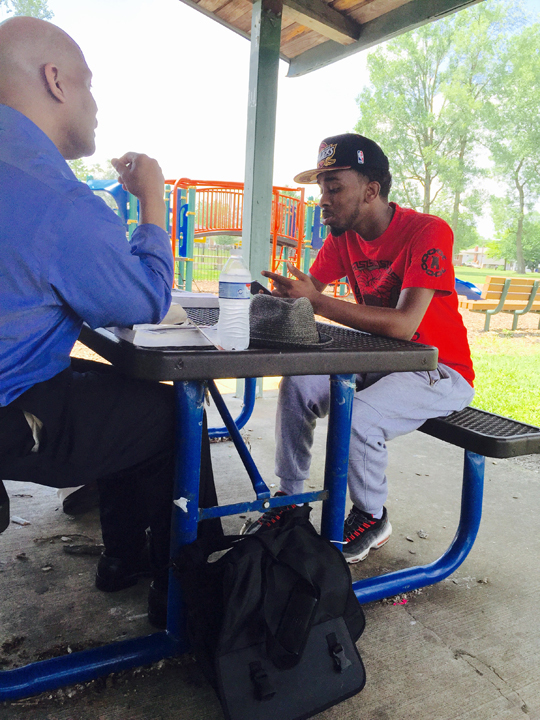 Above, IBSA zone consultant Steven Glover (left) shares his faith with a young man from Somalia. IBSA church planting leaders Van Kicklighter and Charles Campbell and their families also served during Crossover. 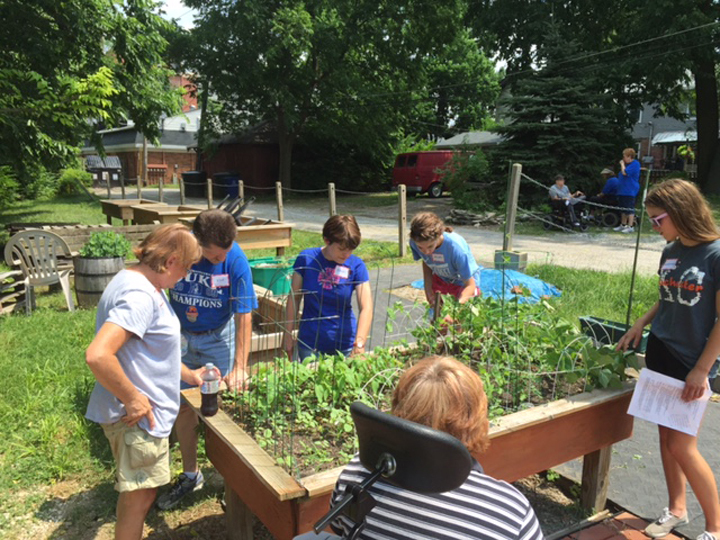 The group worked with Neil Avenue Baptist Church in Columbus and another partnering church from North Carolina to make improvements at a local apartment complex for physically handicapped people. Pastor Michael Kanai also took a team from Orchard Valley Baptist Church in Aurora to participate in Saturday’s outreach. Look for more on their Crossover experience this week.